The OldTown coffee chain may not feel the heat yet but there will soon be a new Ah Huat coffee shop coming its way. The latest stock filling by Power Root (M) Sdn Bhd revealed the listed company has subscribed to a 20% stake in Ah Huat International Sdn Bhd (AHISB) with an investment of RM 400,000. The company has also licensed the “Ah Huat White Coffee” trademark rights to AHISB. For Power Root, it will only start to enjoy the fruits of this agreement in the sixth year when it will get 1.5% of gross sales from all outlets in the form of royalty fee. Three individuals own an 80% stake in AHISB. AHISB is engaged in the business operations of restaurants, food and beverage outlets and or food kiosks. The Ah Huat white coffee outlets will help to further the success of the Ah Huat franchise, which is well known among the Chinese community in Malaysia. Power Root will earn money by selling its coffee to the chain, which is what OldTown has been doing. There has been quite a few coffee chains that have taken advantage of the OldTown concept such as Hailam Kopitiam, Killiney Kopitiam and Kluang Station but these are purely F&B outlets. PappaRich is another breed of its own, thanks to its polished image. The largest is OldTown with 227 stores at the end of September 2013, of which 202 were located in Malaysia and the rest overseas. 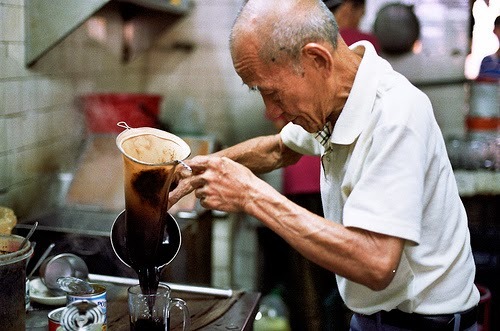 For a kopitiam, it needs to be certified halal to attract people from all walks of life. OldTown only earned the halal status from JAKIM quite late in mid-2013. Moreover, the name has to be less Chinese but Ah Huat seems very Chinese, which may restrict its appeal to just non-Muslim consumers. Perhaps this is what Power Root has in mind. Power Root has been successful in its marketing to the Malay segment through Tongkat Ali and Alicafe before coming up with the Ah Huat idea for the Chinese segment. So, the Ah Huat White Coffee outlet does not need to have a universal appeal after all. Where is the best burger in town?